With a new menu that celebrates the classics, cutting-edge Teardrop Lounge keeps things fresh by looking back. 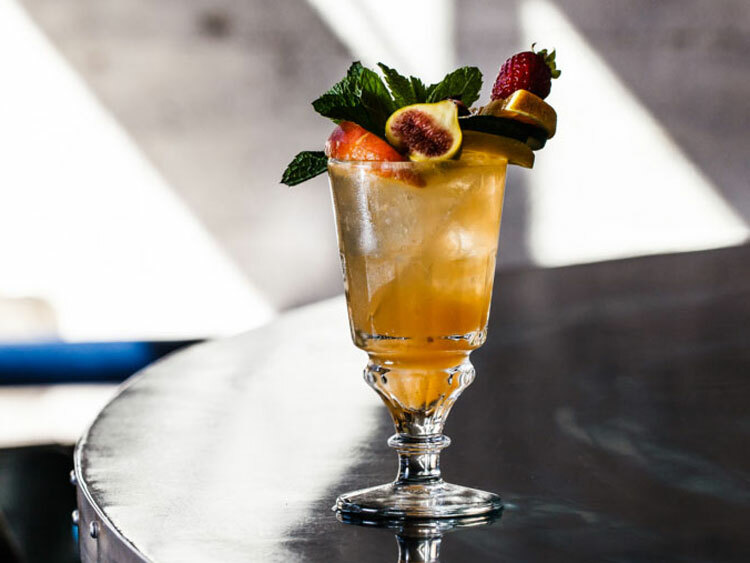 Ever since Daniel Shoemaker and Ted Charak opened Portland, Oregon’s Teardrop Lounge in 2007, it’s been known for stellar cocktails constructed with house-made or hard-to-find ingredients. The piña coladas are made with house-roasted coconut and freshly-squeezed pineapple juice, while original cocktails come with everything from Amer Picon, a French bitter made from orange peels that isn’t commercially available in the U.S., to costus root bitters, which combines a medicinal herb native to South Asia with rye whiskey and ginger. 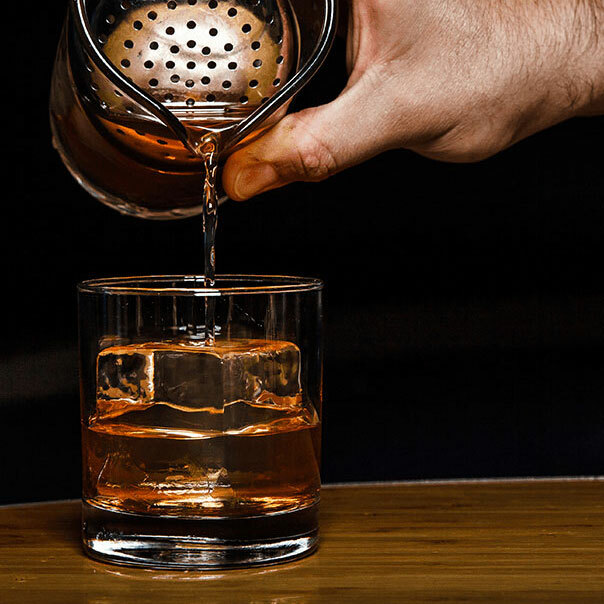 Every three months, the list of about 30 cocktails—broken into roughly equal sections of House Cocktails, Classics, and Friends (favorites from other bartenders)—changes. But later this year, they’ll be deviating from the norm to launch a completely revamped menu that will include “a broad swathe of our canon from over the years,” says Shoemaker. “With the new approach, we’ll have the ability to rotate a hyper-seasonal selection of drinks, while offering a more static repertoire of inspirations from our curated Rolodex.” In other words, you’ll soon have the chance to flip from Teardrop’s greatest hits to their latest work, and back again. For such a forward-looking bar to take pause and celebrate its past proves what any cocktail aficionado knows: Teardrop Lounge is one of America’s seminal bars. It’s a living classic. Tommy Klus traded in bartending in a traditional fine-dining setting for the chance to join the team. “I remember a feeling of wanting to break the code,” he said. “Teach me everything you know.” Klus has gone on to consult on many highly regarded Portland bar programs, including the Multnomah Whiskey Library, and is now a partner at La Moule. Mary Bartlett started at Teardrop in 2009 and quickly graduated from cocktail server to bartender. She persevered through both her own inexperience and Portland’s “boys’ club” bar scene because “it was just such an honor to be back there.” Bartlett eventually moved to Los Angeles, where she now runs the bar program at the Ace Hotel. 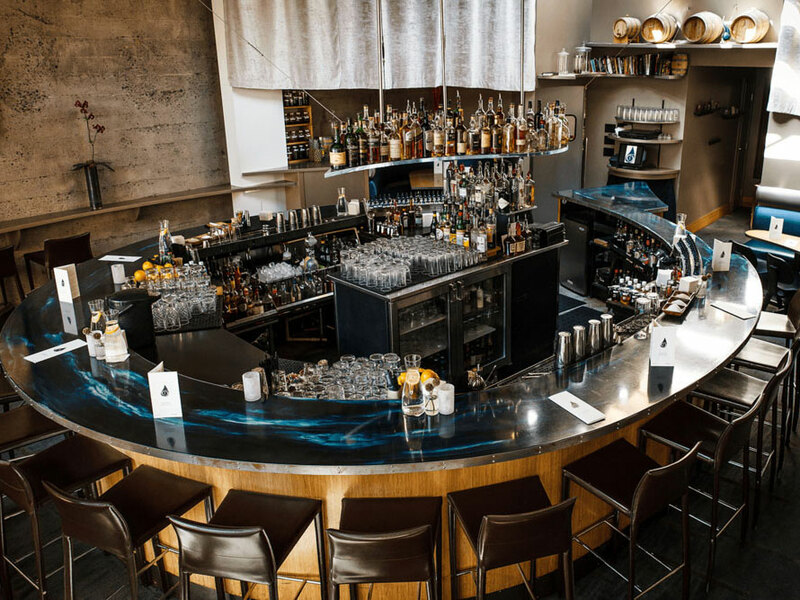 Beyond all the prolific bartenders that the bar has turned out, Teardrop has also given rise to an unparalleled resource for Portland’s bartenders. In 2014, having cemented a reputation as an innovator of house-made ingredients, Shoemaker partnered with Hoard to open The Commissary, which supplies unpasteurized juices, along with bitters, cordials, and syrups, to dozens of Portland bars and restaurants. It’s been so successful that it recently expanded to Oakland, California. It's this dedication to the craft that has kept Teardrop on the cutting edge for more than a decade. Today, however, the experience at Teardrop isn’t just about the cocktails. “I think our service has stayed great, but has now adapted to a culture where cocktails don’t have to fight for relevancy,” says de la Parra. As Shoemaker puts it, “The force driving business today is the unique, tailored experience our guests receive by a staff that’s genuinely excited to guide them toward the right cocktail for them in any given moment, to help them explore the full spectrum of drinks and identify the surprising pliability of their own flavor profile preferences." Indeed, in taking a breath to recognize the ingenuity that’s been second to none, the bar has been able to progress and focus on perhaps the most important homegrown ingredient of them all.